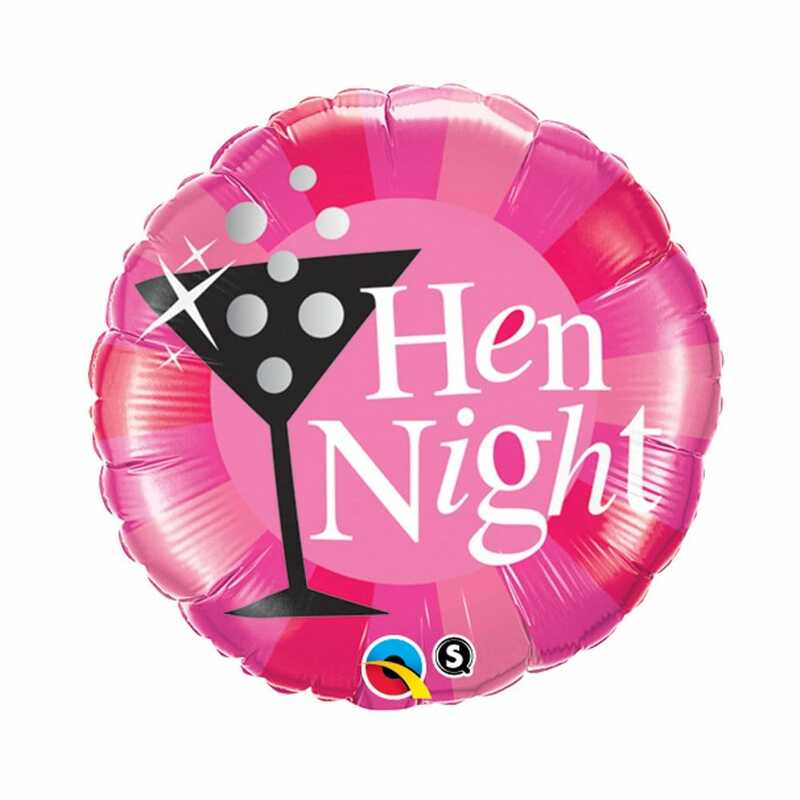 Kick the hen night off and start the party with this Hen Party Cocktail Glass Foil Balloon. Details and decorations can make or break a party, so make sure you've got the best going! This 18in balloon features a cocktail glass, so it would be rude not to grab yourself a cosmopolitan as well! In multiple shades of pink, there's no doubt that this is a girls' night. This decoration is bound to get everyone pumped up for the night ahead. If you decide to fill it with helium, make sure it doesn't escape with one of our beautiful Balloon Weights With Tassels. Hen Party Superstore offer a range of delivery options, including next day delivery for those last minute party details.